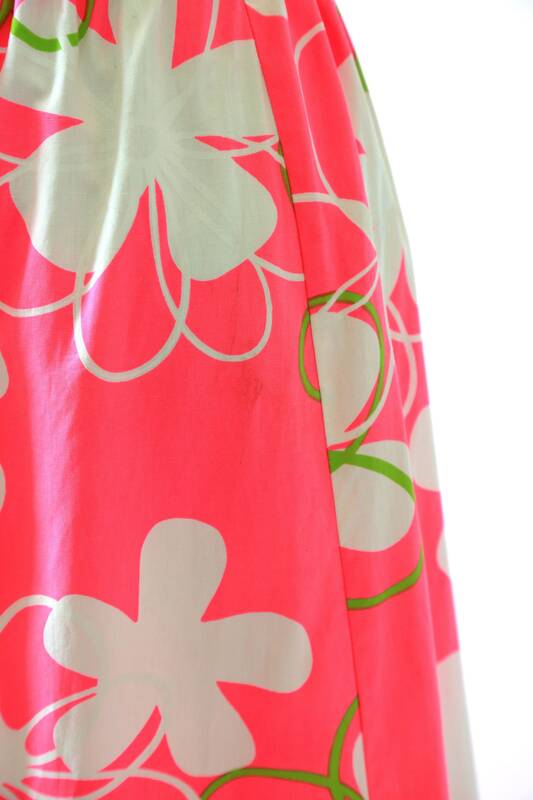 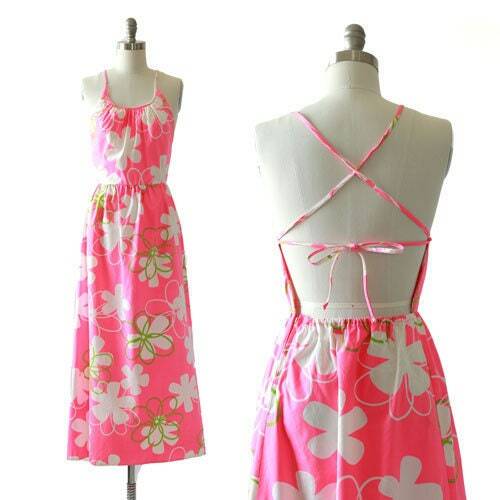 Stunning Ultra Rare vintage 1960s Hawaiian Maxi party dress. 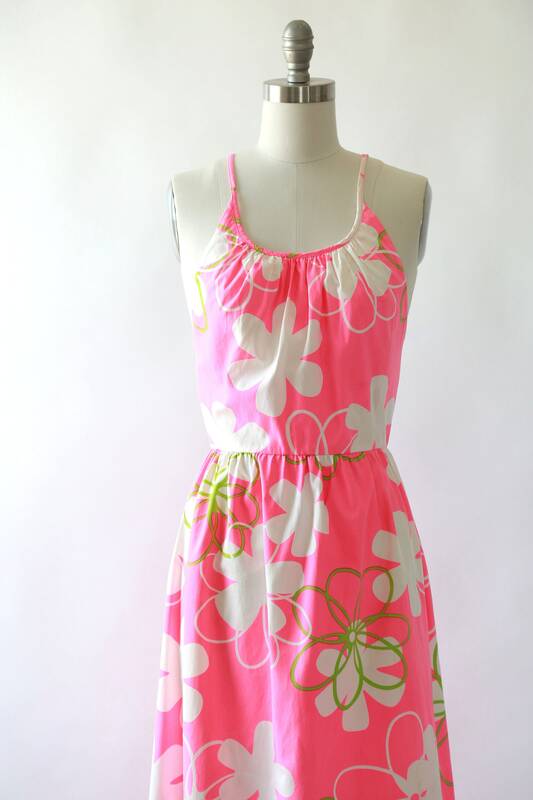 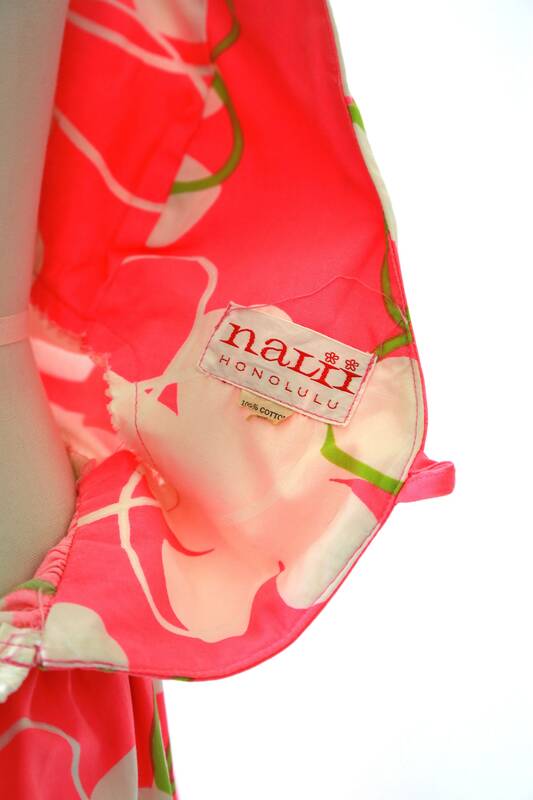 Neon pink, white and green tropical floral motif. 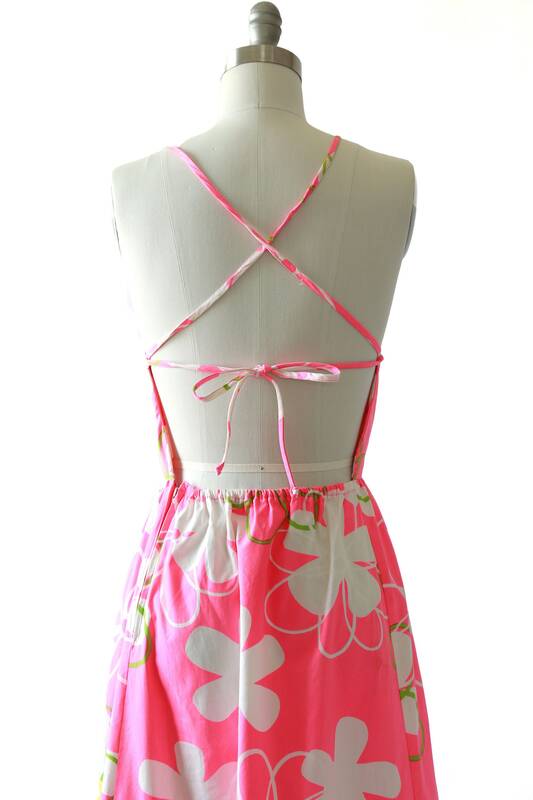 100% cotton backless criss cross back.